& now to the home of Lego, The Raveonettes, pastries & Large Oilrig from Metallica, Denmark. & for those who yearn to learn København or “Hafn” has a chemical element named after it (hafnium) . But what elements will The Cure bring this evening? Cureanium maybe? So far we’ve seen two Disintegrations, one Wish & a The Top set, so could tonight bring Bloodflowers? & given that the band are still seemingly on shuffle mode, it’s anyone’s guess what else is on the list. In attendance today are figurehead82 & kissingcrimson with the former looking to tweet the set as it unfolds (follow @figurehead73 on twitter). On behalf of us all here, we hope you both have a superb evening. Don't forget, if you find any scopes or FB live feeds, post the links & we'll put them in this post too so they're easy to find. 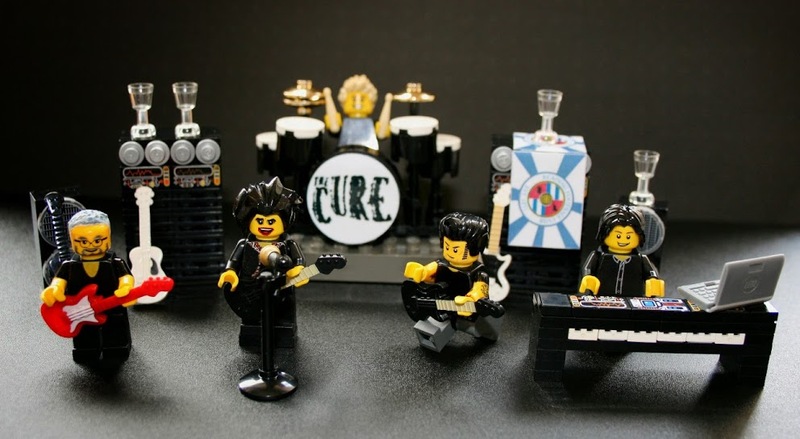 Lego Rulez and so does The Cure ! ! ! Here we go! figie - that's FAB!!! AND thank you for the purple attempt, XO! But what elements will The Cure bring this evening? I'm here and ready for a great set list! Gets a bit hard on the eyes. Almost went for the coat of arms colours (almost teal). any guess for tonight's opening track? Yep I reckon it's a Bloodflowers night!